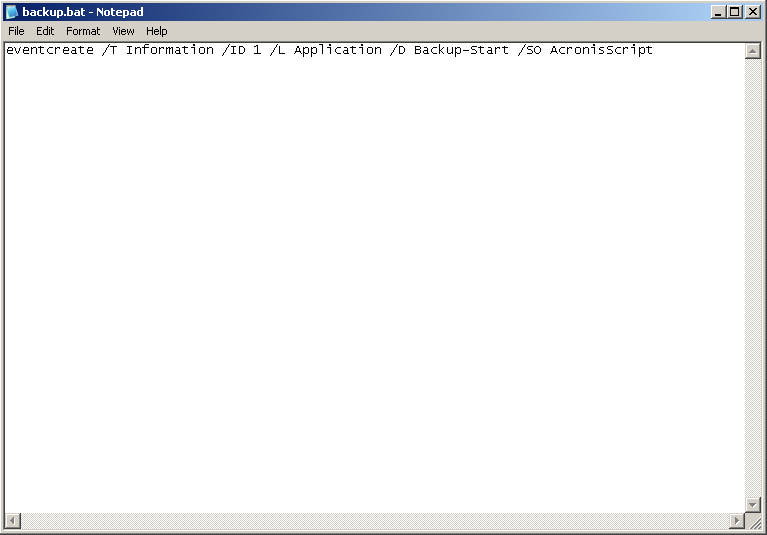 You can trigger backup creation by executing a small batch file. Click OK and set other options if necessary. 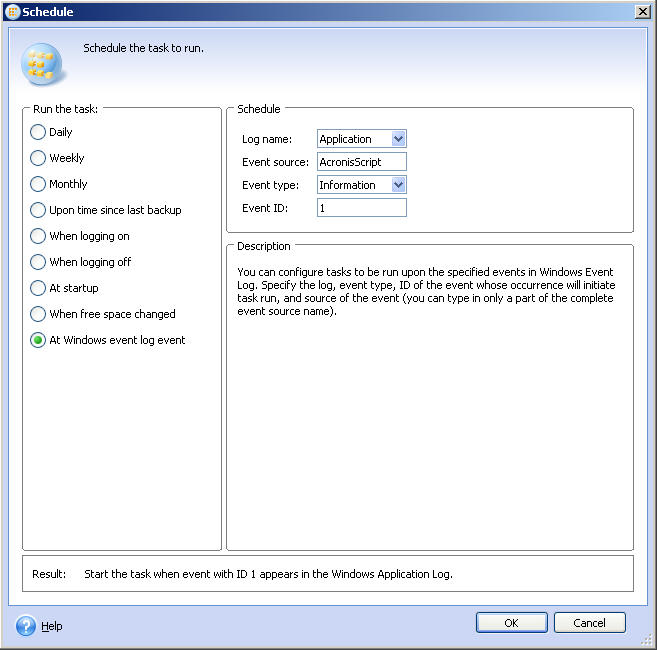 For example, you can also make the machine automatically shut down or log off after the backup. 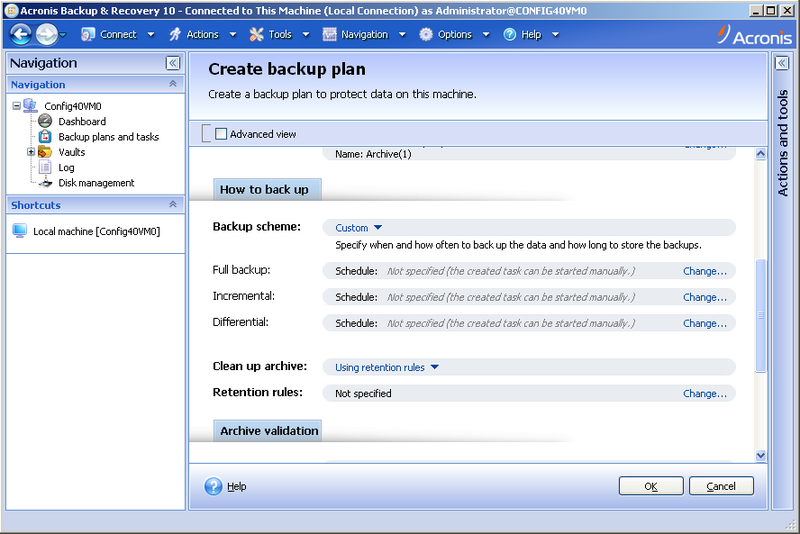 See Acronis Backup & Recovery 10: Automatic System Shutdown or Logoff after Backup or Recovery. Click OK to create the backup plan. 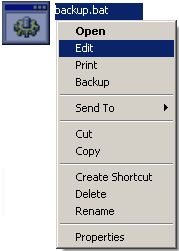 This way of running the backup does not support E-mail notifications and the dashboard.